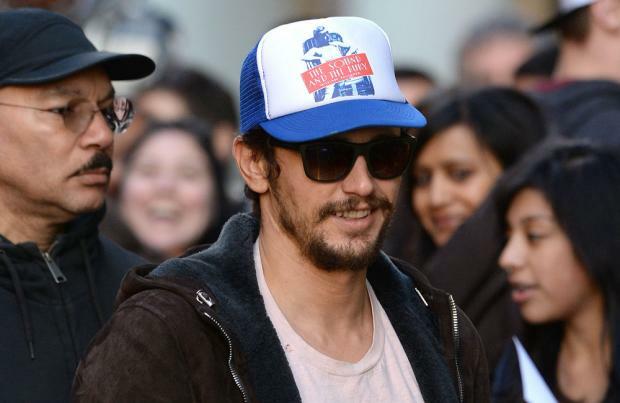 James Franco to appear in Dawn of the Planet of the Apes? James Franco is set to appear in 'Dawn of the Planet of the Apes'. The 36-year-old actor starred as Will Rodman in 'Rise of the Planet of the Apes' and although his character was not set to return for the sequel, director Matt Reeves has now revealed he could make a cameo. Asked whether unused scenes from the last film were to appear in 'Dawn of the Planet of the Apes', he told Collider.com: "There is an appearance that he makes which is not about some ending that they ... there's no reprise of the footage that they shot of his death or anything like that." Freida Pinto, who starred alongside Franco as Caroline Aranha in the 2011 film will not reprise her role, while Andy Serkis - who stars as Gollum in 'Lord of the Rings' and 'The Hobbit' - will return as the ape Caesar. "We felt this movie is so much about his emotional perspective that in order to set that into a framework you needed to refer to essentially his father. "So, in a way that I won't totally give away, we essentially have a moment where you have Caesar sort of reminiscing or connecting to who Will was and what he meant to him." Gary Oldman, 'The Americans' actress Keri Russell and Judy Greer will star alongside Andy Serkis in 'Dawn of the Planet of the Apes', which is set to be released in July.